2. 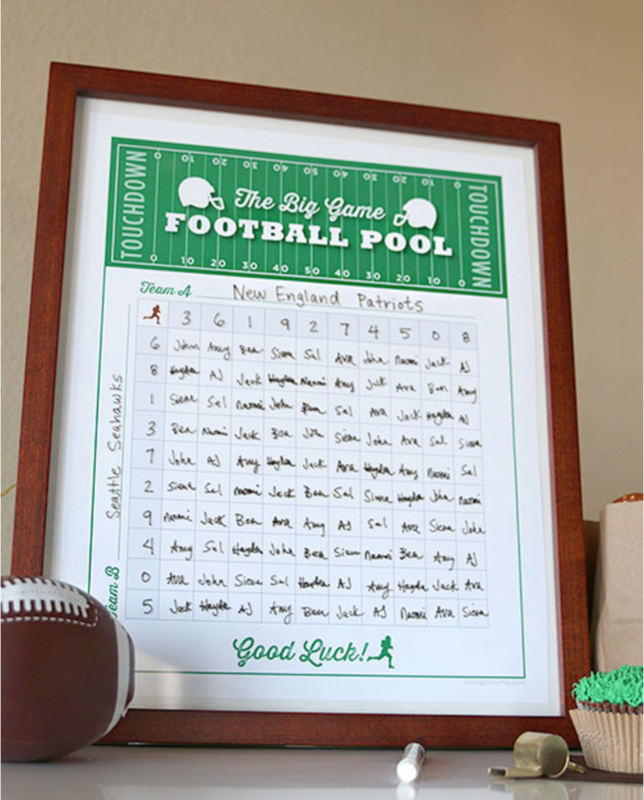 Have guests join your Football Squares pool and write their names in their squares. You can do this in a variety of ways, such as have it be a certain amount of money per square. In our case, we provide the party prizes to be handed out each quarter. Each guest gets assigned a certain amount of squares based on how many people are at the party. There are 100 squares to fill. So if you have 10 party guests, each guest gets 10 squares. 3. Assign the numbers after the squares have been filled with names. Randomly choose numbers 0 through 9 to each column, followed by doing the same for each row. Now each square represents a specific score in the game based on the column and row numbers. 4. Wait for the football game to start and determine the winners per quarter and final game score. The winner is determined by looking at the last number in each of the teams’ score, and then matching those numbers on the grid and seeing which square intersects those two numbers. An example would be if the the score at halftime was Denver Broncos 33, and Carolina Panthers 24. The last number for the Broncos is 3, and the last number for the Panthers is 4. The square on the grid that has the Broncos with a number of 3, and Panthers score of 4, would be the winner. Here is a link for you to download your own Football Squares template! The rules and template were found on the Living Locurto website.